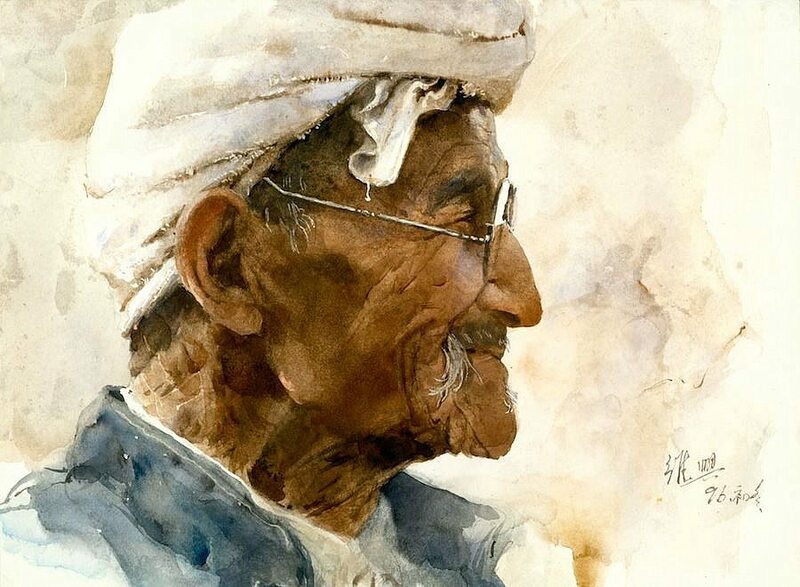 Dong Shouping (1904-1997) was a Chinese artist well-known for his watercolor paintings. 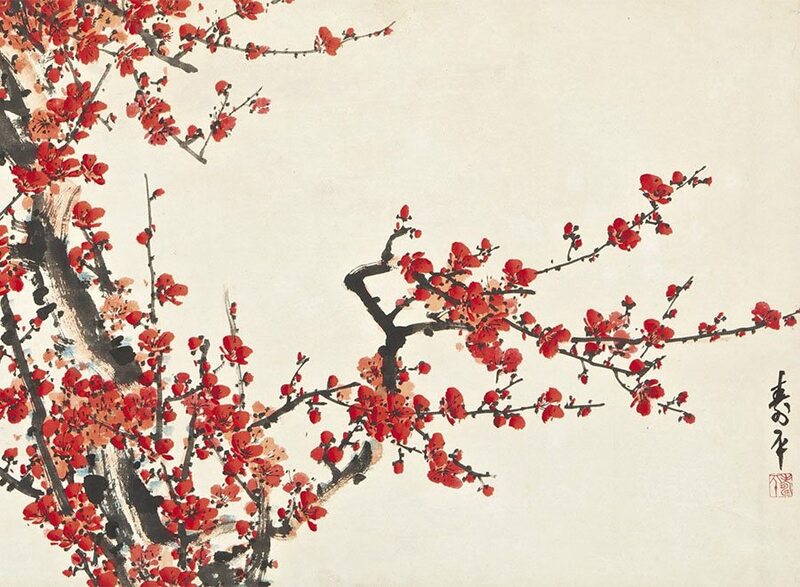 In this painting, Shouping presents a flower painting of the red plum blossom, a traditional symbol in Chinese painting. Concretely, the red plum blossom serves as a reminder of spring; the tree itself produces flowers in late winter. However, the plum blossom also represents hardship and the hope of life beginning again. 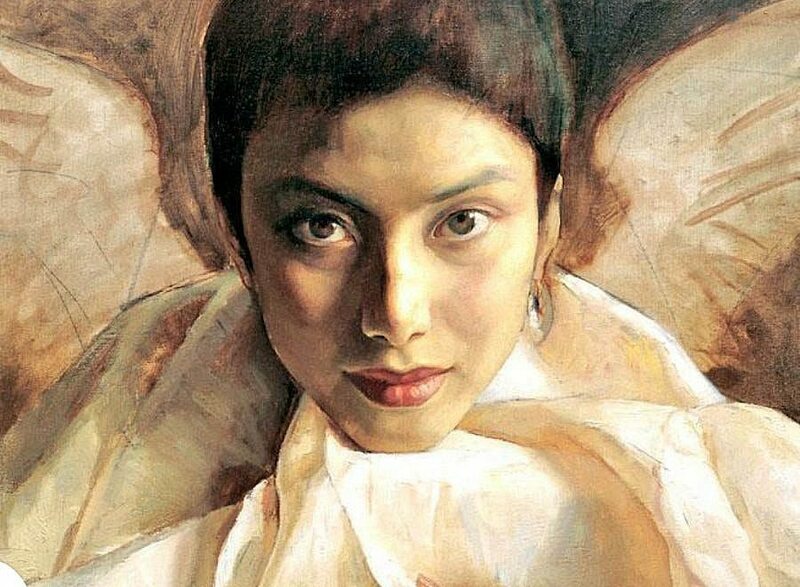 Painted against the off-white sheen of a vertical scroll, Shouping captures life’s resilient spirit. 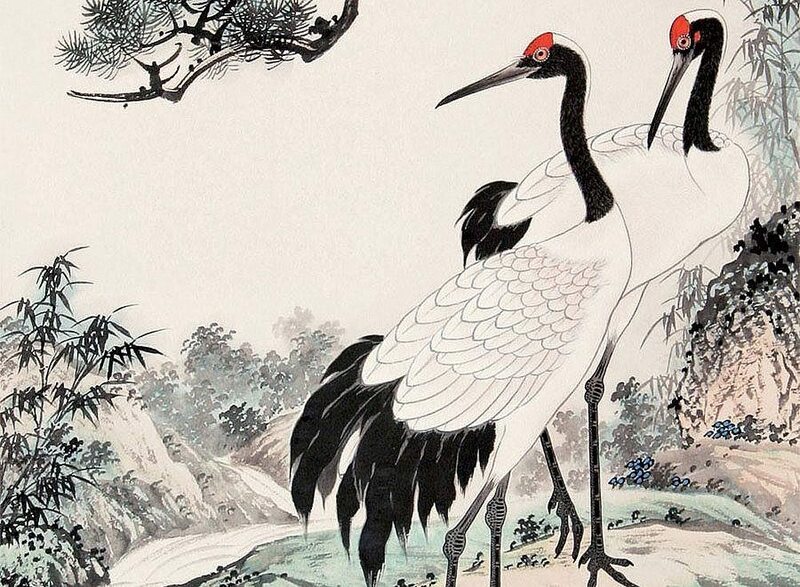 Using thick brush strokes for the branches, Shouping adds a weighted heaviness to the branch-which splits off into two directions-upwards and downwards. This divergence enables one to perceive the effects of adversity on the spirit. Using the metaphor of winter, the upward branch brims with the urgency and desire of new life; numerous red blossoms cluster in groups sharing their beauty and hope within a desolate background. Whereas the downward branch appears compressed. Although the flowers’ enticing color adds vibrancy, they are still covered in a light sheath of white-struggling to achieve a full bloom. Although this piece showcases the triumph of the red plum’s purity, the experience of living within adversity remains prevalent within its branches. Thus, Shouping connects viewers to triumph over adversity. The red plum blossoms’ softness and beauty transmit strength and survival. While the split within the branches provides an account of the struggle associated with overcoming challenges, the beauty and hope found within the blossoms reassures one that survival is possible within the harshest of circumstances. Sullivan , Michaeal, et al. “Chinese Painting.” Edited by The Editors at Encyclopedia Britannica, Encyclopædia Britannica, Encyclopædia Britannica, Inc., 28 Apr. 2017, www.britannica.com/art/Chinese-painting. Jiang, Hong. “The Plum Blossom: A Symbol of Strength.” The Epoch Times, The Epoch Times, 1 Oct. 2015, www.theepochtimes.com/n3/1497107-the-plum-blossom-a-symbol-of-strength/. Perfect Metaphorical illustration to human existence!